used for decorative and industrial life, on the market a lot of people use it for the production of stair handrails, shutters, railings, furniture and so on. 201 and 304 are two common materials. Accounting for about 8% to 16% of all the total steel, the range of applications in which the national economy is extremely broad. Because the tube has a hollow cross-section, and thus most suitable for liquids, gases and solids pipeline; while compared with the same weight of steel bar, pipe section modulus big, big torsional bending strength, so for a variety of mechanical and architectural structures important material. Stainless steel tubing and structural parts, and in case of equal weight, the ratio of the solid component has a greater section modulus. Therefore, stainless steel pipe metal itself is a saving of economic cross-section steel, it is an important part of efficient steel products, especially in the oil drilling, refining and transportation and other industries in greater demand, followed by geological drilling, chemical industry, construction industry, machinery in industrial, aircraft and automobile manufacturing and boilers, medical equipment, furniture and bicycles manufacturing also requires a lot of various steel pipes. With the development of atomic energy, rockets, missiles and aerospace industry, and other new technology, stainless steel pipe in the defense industry, science and technology and economic development in the increasingly important position. 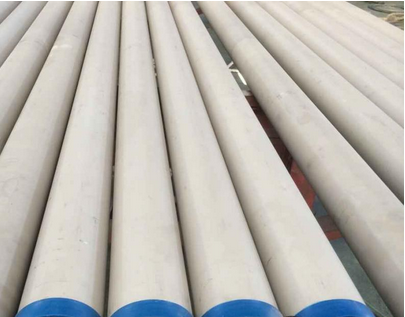 Stainless steel tube is safe and reliable, health and environmental protection, affordable, thin-walled pipes and new reliable, simple and convenient method to develop a successful connection, it has more other pipe irreplaceable advantages, Engineering will be more and more use will become increasingly popular, a good prospect. Because stainless steel has many desirable properties of building materials has been required, it can be said that in the metal is unique, and its development continues. For the stainless steel in the traditional applications better performance, it has been the improvement of existing types, and, in order to meet the stringent requirements of advanced building applications, is developing new stainless steel. Due to the continuous improvement of productivity, quality, continuous improvement, stainless steel has become one of the most cost-effective material of choice for architects. Stainless Steel Collection performance, appearance and use of features in one, so stainless steel will continue to be one of the best materials in the world. With the implementation of China's reform and opening policy, economy obtained rapid growth of urban housing, public buildings and the construction of a large number of tourist facilities, hot water supply and domestic water supply put forward new demands. In particular water quality issue, there is growing attention, is also rising. The commonly used galvanized steel pipe is liable to corrosion under the influence of relevant national policies, will gradually withdraw from the stage of history, common plastic pipe, composite pipe and brass became the piping system. But in many cases, stainless steel pipe more advantages, especially in wall thickness of only 0.6 ~ 1.2mm thin-walled stainless steel pipe in high-quality drinking water systems, hot water systems and the safety and health of the water supply system in the first place, having safe, reliable, health and environmental, economical and other characteristics. Domestic and international engineering practice has proven to be one of the best overall performance of the water supply system, the new, energy-saving and environment-friendly pipe, but also a very competitive water pipe, is bound to improve water quality, improve people's living standards play no comparable role. Water supply system in the building, since the galvanized steel over a hundred years of glorious history, a variety of new plastic pipes and composite pipes rapid development, but also a variety of pipe to varying degrees, there are some deficiencies, can not fully adapt to the water supply pipe the Department of State and the need for drinking water and on water quality requirements. Therefore, the experts predicted: building water pipe will eventually return to the era of metal pipe. According to the experience of the application abroad, found a metal pipe with one of the best overall performance for the thin-walled tube of Stainless Steel Tube.